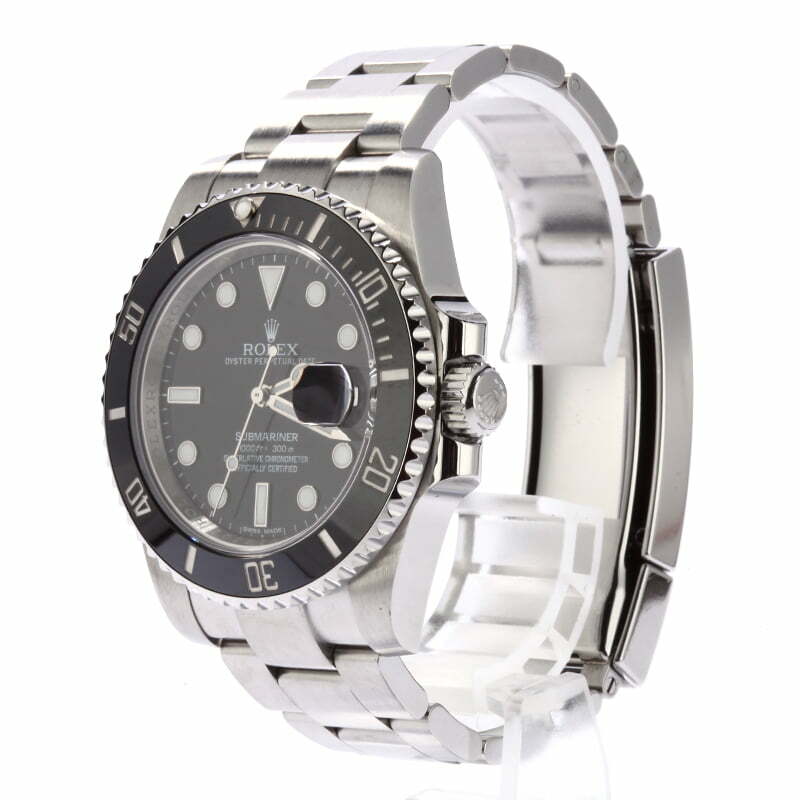 Comments: This pre owned Rolex Submariner comes w/ Bob's 3-day satisfaction guarantee and one year warranty. Temporary master photo. All side views are of actual watch and magnify 10x. 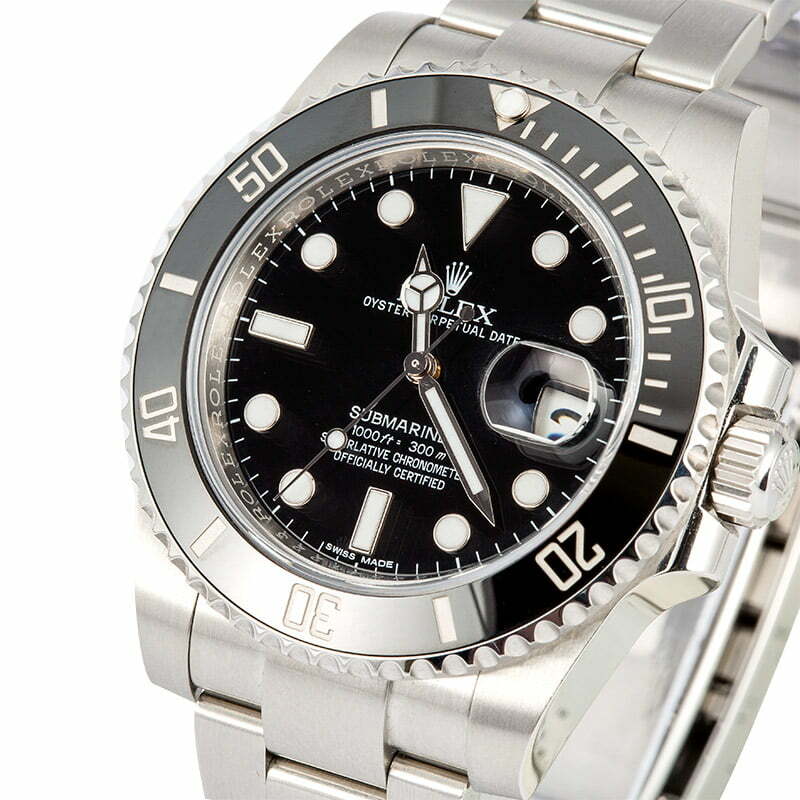 The first Submariner came to market at Basel Fair 1954. 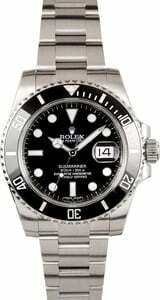 It was the brand's first official dive watch and was equipped with a rotatable timing bezel, a luminous display on the dial, and a depth rating of up to 100 meters. The ref. 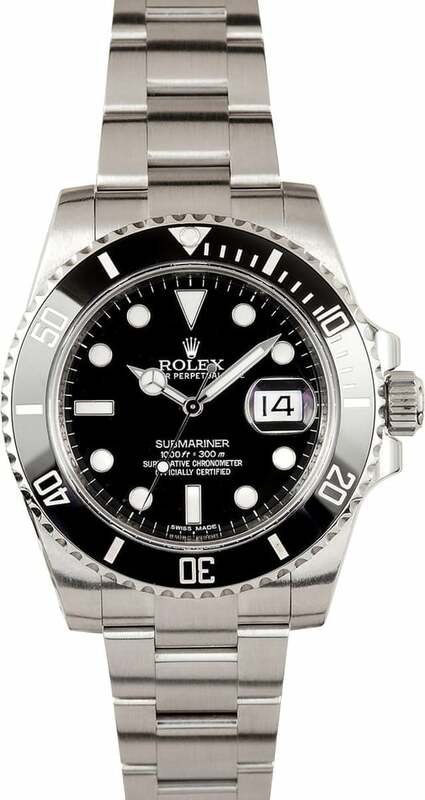 116610 came to market in 2010 and is the newest variation of the stainless steel Submariner. The ceramic bezel is now unidirectional for a safer reading while in the water, and the case offers an increased depth rating of up to 1,000 feet. 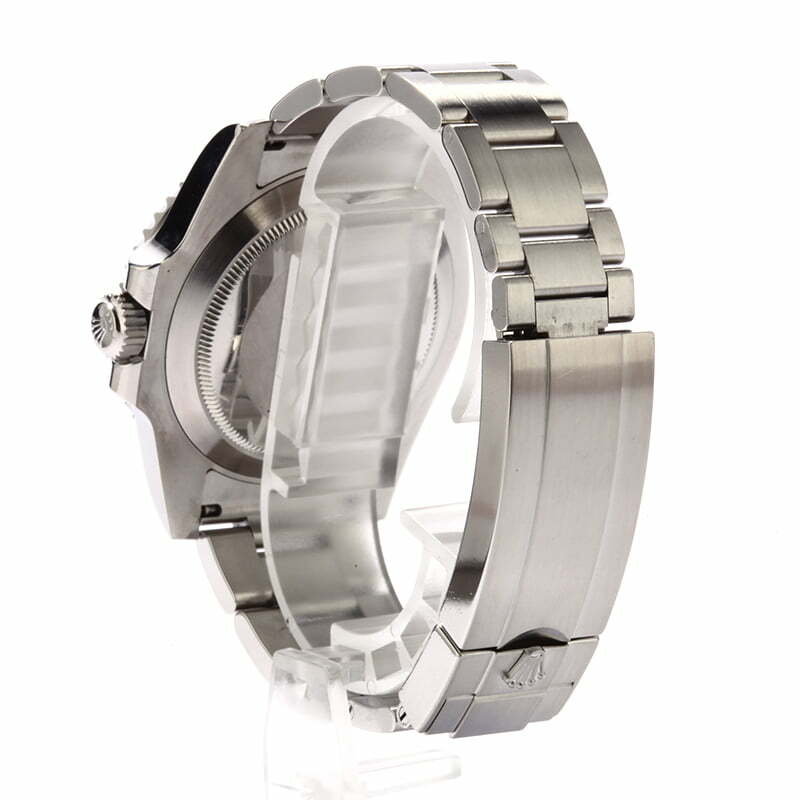 The stainless steel material used on the case and bracelet is 904L-grade stainless steel that is resilient and easy to polish. 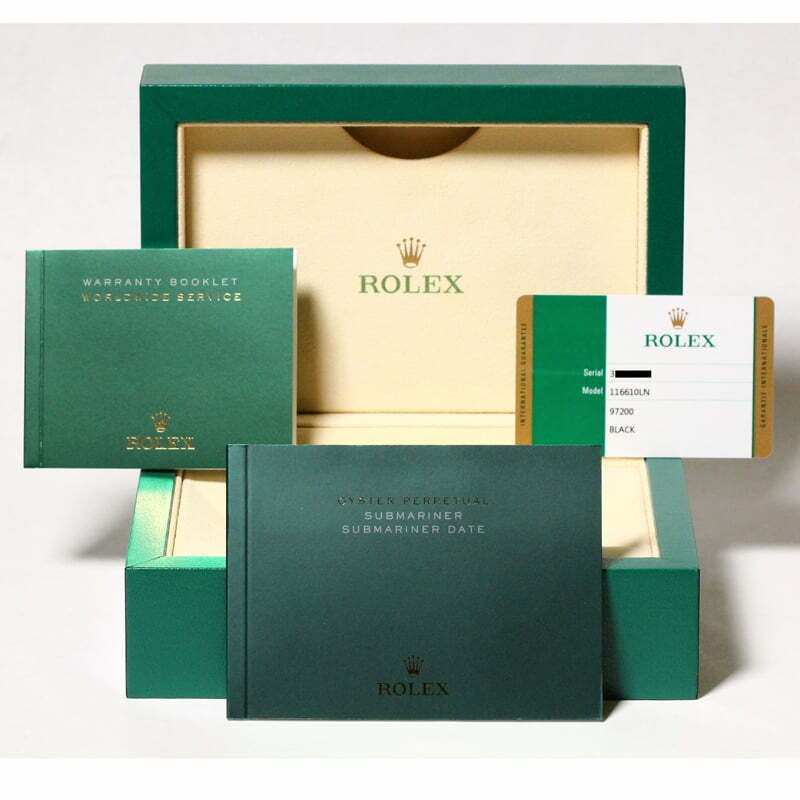 As a newer pre-owned Rolex, this ref. 116610 also features a newer case and bracelet design with a larger crown guard and a tool-free Glidelock clasp.